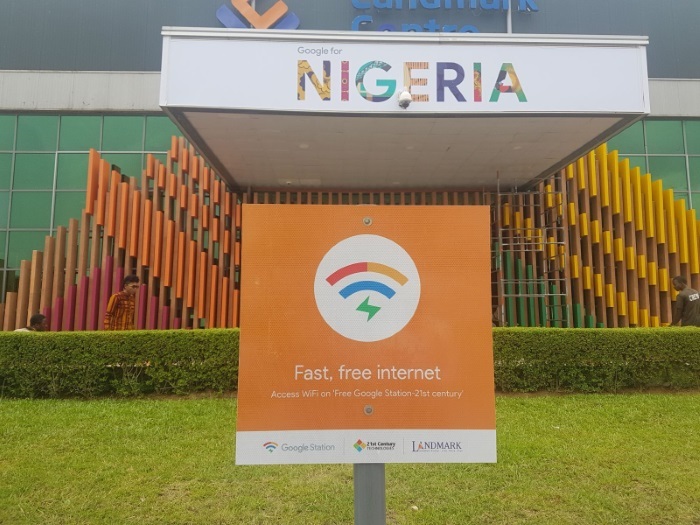 Tech Giant, Google has launched a network of free Wi-Fi hotspots in Nigeria on Thursday, part of its effort to increase its presence in Africa’s most populous nation. According to her, Google in partnership with one of Nigeria’s largest fibre network providers, 21st Century, will be launching the programme in 200 locations in five cities across Nigeria. “Sites include markets, transport hubs, shopping malls, universities, and more. Nigeria is the fifth country to get Google Station, after India, Indonesia, Thailand, and Mexico,” Ehimuan-Chiazor said. 10 million Nigerians, including Internet Service Providers (ISPs) are expected to benefit immensely from this project. Google Station is a service that allows Google partners to roll out Wi-Fi hotspots in public places by providing software and advice on hardware to turn fibre connections into Wi-Fi. 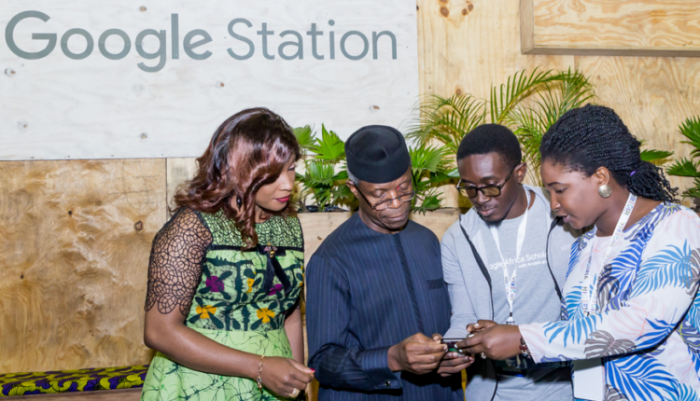 The Vice President, Prof. Yemi Osibanjo being put through on How Google Station works. The service is already live in four locations in Lagos, like the MMA 2, Ikeja City Mall, The Palms Lekki, Computer Village and the University of Lagos (UNILAG). The service will be expanded to 200 locations across five additional Nigerian cities—Port Harcourt (Rivers state), Abuja (FCT), Kaduna, Enugu, Ibadan (Oyo state) by the end of 2019. According to Google Vice President Anjali Joshi said Google was doing this because the Internet has the potential to completely transform Africa… “We are rolling out the service in Lagos today but the plan is to quickly expand to other locations,”.